Borussia Dortmund vs Nurnberg predictions for the mid-week German Bundesliga. 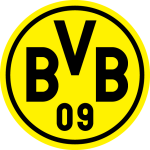 Title hopefuls Borussia Dortmund host newly promoted Nurnberg at Signal Iduna Park on Wednesday. Read on for our free betting tips and match preview. Borussia Dortmund’s landscape is a lot different now than the glory days of the early 2010’s and last season’s topsy-turvy performances have prompted due change. Former-Nice and Borussia Monchengladbach boss Lucien Favre is the man Der BVB have assigned to mould them into title contenders once again, and with eight points from their opening four matches (W2 D2), he’s getting them back on the right track – in fact, Dortmund have only gotten off to a better start under one coach: Thomas Tuchel. Favre will no doubt be contemplating the addition of Spanish forward Paco Alcacer, on loan from Barcelona, to the attacking trio this weekend if he can shake off the knock that saw him miss out against Hoffenheim on Saturday. Having scored off the bench against Frankfurt in the match before that, he’d look the obvious choice to spearhead a Dortmund attack alongside captain Marco Reus and winger Christian Pulisic (pictured). After winning their first top flight match since March 2014, a 2-0 triumph over Hannover on the weekend, Nurnberg will be in good spirits ahead of this blockbuster match away to Borussia Dortmund. 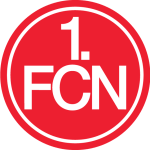 Nurnberg now have five points on the board from four matches – not too shabby for a side promoted to the Bundesliga over the summer – and new signing Virgil Misidjan (from Ludogorets) looks to have solidified that right wing role after scoring off the bench in the 1-1 draw away to Werder Bremen. Notably, Nurnberg have the joint second best defensive record in the Bundesliga ahead of this match (3 goals conceded) but when you look over their starting fixtures – Hertha, Mainz, Bremen and Hannover – it’s not the most remarkable record. Coach Michael Koellner will be looking to last season’s top scorers Mikael Ishak (12 goals) and captain Hanno Behrens (14) for attacking inspiration. So what should we look for betting-wise in this match? Well, Lucien Favre’s Dortmund are no doubt one of the most dangerous sides in the league when they get going, and they tend to do that more often than not when at home – just two teams have taken more shots on target at home than Dortmund (11) so far this season: Leipzig and Wolfsburg (both 13) – and when you look at their attacking talent you shouldn’t expect anything less. Forwards Marco Reus, Marius Wolf, and Christian Pulisic have all got goals to their name already this season, and that’s before looking at talents like Jordan Sancho and Maximilian Philip. After knocking three past Frankfurt and four past RB Leipzig in their two 18/19 outings at Signal Iduna Park so far, Der BVB are at 19 goals scored over their last seven home outings, an average of almost three per game. If goals are unquestionable for Dortmund, then what about Nurnberg? Well, Nurnberg have scored in each of their last three Bundesliga matches, but they haven’t been overly impressive offensively. Fortunately for them, Der BVB are still somewhat unproven defensively since the end of last season – Dortmund have kept just one clean sheet in their last seven Bundesliga matches – so it wouldn’t be unreasonable to see Nurnberg get themselves on the score-sheet again here either, especially with this marking Dortmund’s fourth fixture in ten days due to the start of the Champions League. However, Dortmund’s squad depth offers so much offensive strength that tired legs shouldn’t be so much of a problem, and their historically strong home record (see head-to-head) adds to the idea of them easing a high scoring win. Our prediction: 3-1 Dortmund. Over 2.5 goals were scored in 71% of Dortmund’s home matches last season. Over 3.5 goals were scored in 47% of Dortmund’s home matches last term too. Dortmund have won six of their last seven league outings at Signal Iduna Park (W6 L1). Nurnberg have lost seven of their last eight Bundesliga away matches (one in the 18/19 season and six in the 13/14 season).